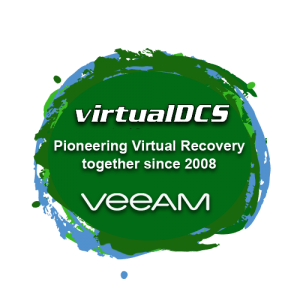 How do I connect to a Veeam service provider? 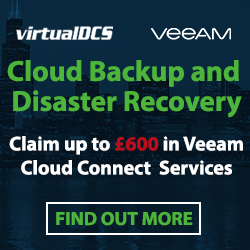 It’s incredibly simple to connect to a Veeam service provider and configure your Veeam Cloud Connect solution. 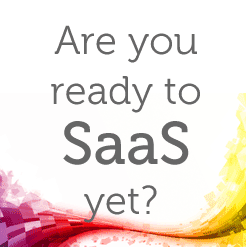 This blog aims to give you a brief guide on how to complete the configuration. A full username and password for your tenant account (speak to your service provider to register these details). A full IP address or DNS name for the Service Provider you’ll be communicating with. In the wizard open up the background infrastructure view, click on the ‘Service Providers’ and then ‘add a service provider’. In this section enter your IP address or the full DNS name for the Server Provider. 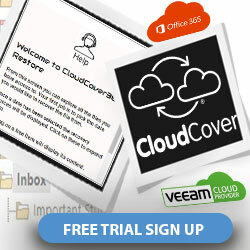 You can also add any information for your Veeam service provider. Using the port element, specify which port your tenant backup server will use to connect to the gateway. The default port is 6180, but your service provider should be able to specify this if it’s different. If the service provider is managing the tenant’s backup, you should check the box that states you “Allow this Veeam Backup & Replication installation to be managed by the service provider”. This enables the Veeam service provider to be able to manage the backup server through the Availability Console. System Domain Credentials are needed for the Service Provider to access your console. If applicable, in this section you can view and verify the TLS certificate received from the service provider. To view this, just click the link. From the credentials list, select the details for the tenant account, as provided by your Veeam Service Provider. You can also manually add them in this section. When completed, click ‘apply’. In the resources tab of this screen, the system will automatically calculate the amount of resource given to the tenant, then display the results. After this has completed, click ‘next’. Please note that it may take some time. Within the hardware plans category the wizard will calculate storage, computing and network assets that are available and allocated to the tenant, by the Veeam Service Provider. In the network extension tab, the wizard will detail extension appliances for the network that will be deployed on the side of the tenant. The network extension appliance is used for maintaining and initially establishing connections between production Virtual Machines and virtual Machine replicas after a partial site failover has been initiated. Here, using the Network Extension Appliances list, you can also view the default extension settings, add new network extensions (if you have multiple IP networks in production) or edit current ones. This window gives two options, where you can edit the existing appliance by selecting and clicking ‘edit’, or offering the facility to add new extensions. Navigate to ‘choose’ and select the host which the network extension needs applying to. This is the source host where your production Virtual Machines will be replicated to the host. This step differs, depending on what hardware plan you have. For VMware Hardware plans, in the ‘resource pool,’ section click ‘choose’ and select the pool where the extension appliance Virtual machine is to be placed. In the Datastore section, click choose and select the store where you would like to keep the files of the network extension appliance VM. For Hyper-V hardware, in the Folder section, press ‘choose’ and select the path and folder where you’d like to keep files of the network expansion VM. In the network section, select the Virtual Switch that the production VMs on the host is currently connected to. To manually assign the IP address to the appliance, enter the information into the “use the following IP addresses” section, specifying the IP address, Subnet mask and default gateway. Click ‘ok’ to proceed. At the apply stage of the wizard, you’ll be able to view and save resource information, as well as deploy the specified number of network extension appliances to your host. After this process has completed, just click ‘next’. You’ll then be able to review the configuration and close the wizard. If you’d like any further advice or information, feel free to leave a comment below, email enquiries@virtualDCS.co.uk or call +44 (0)3453 888 327. Next: Next post: Thinking about application hosting?